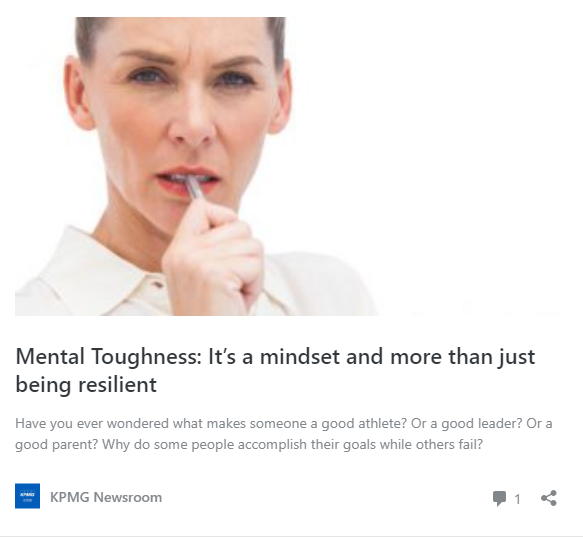 This is a great article on Mental Toughness which usefully cites Professor Peter Cloughs work on the topic. It sets out the distinction between resilience and mental toughness beautifully. Peter of course works closely with AQR International to take the concept on further. Another useful read is “Developing Mental Toughness (Kogan Page 2015) where Peter and I set out the concept and its applications.